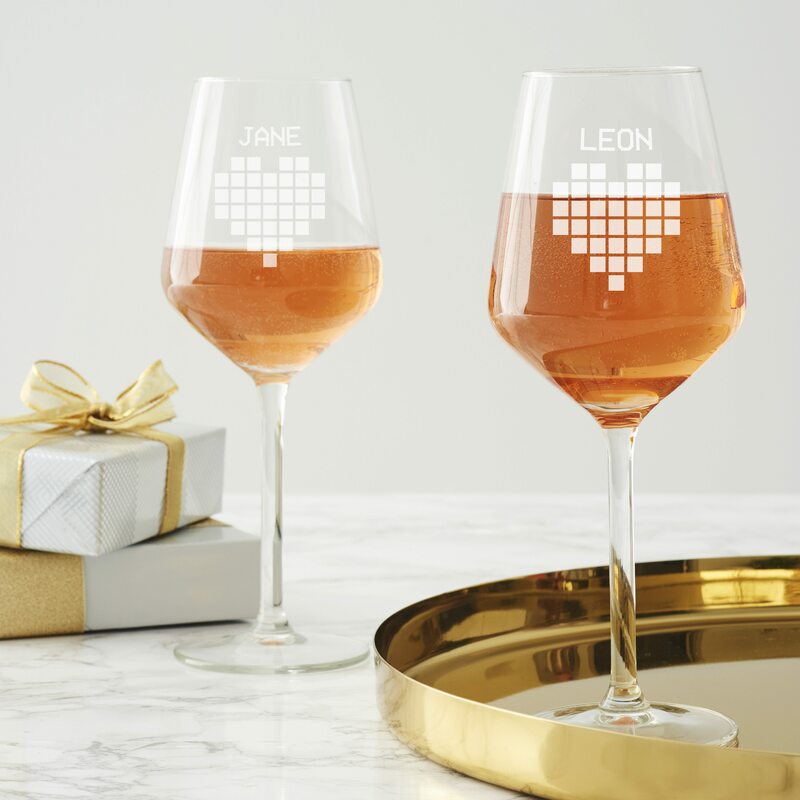 The perfect personalised gift for wine lovers. 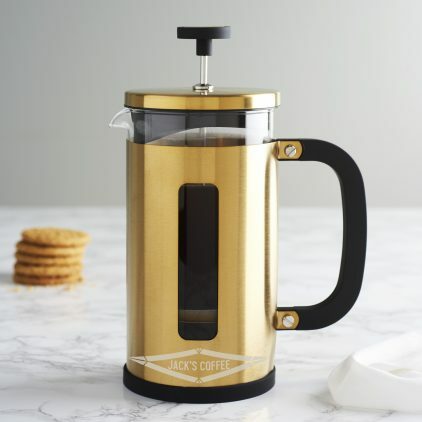 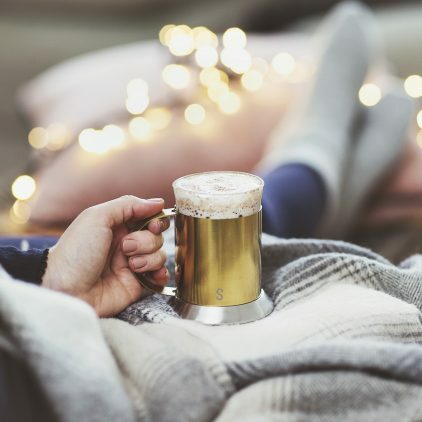 Update your kitchen accessories with an on-trend gold cafetiere which can be personalised with a message of your choice. Sip your favourite champagne cocktail in style with our Personalised Hexagonal Champagne Flute. 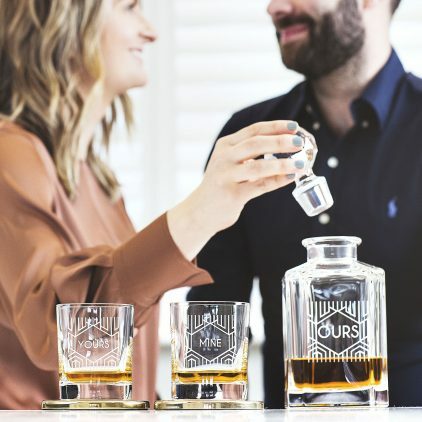 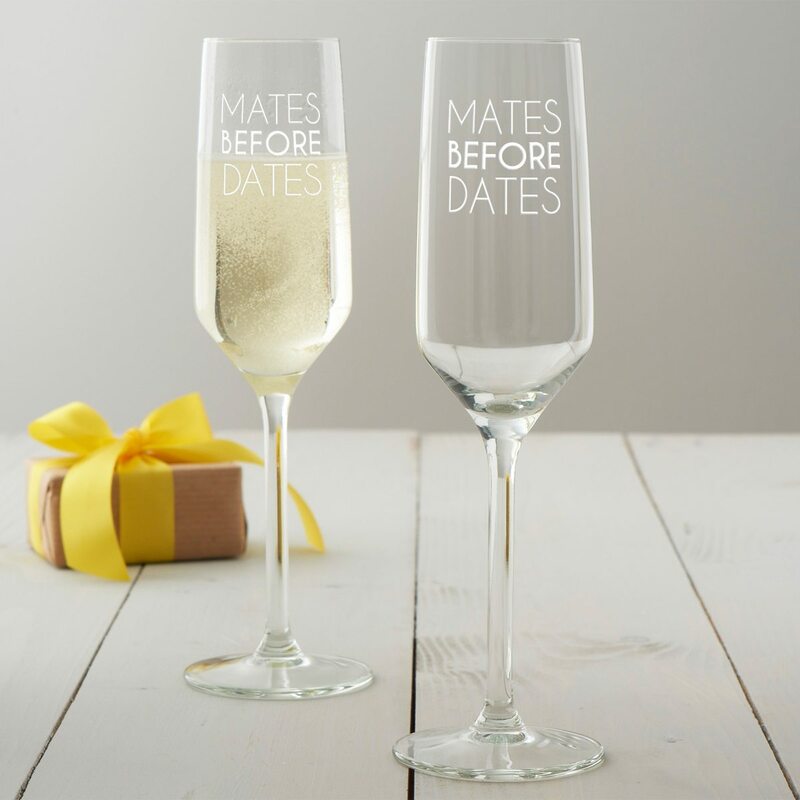 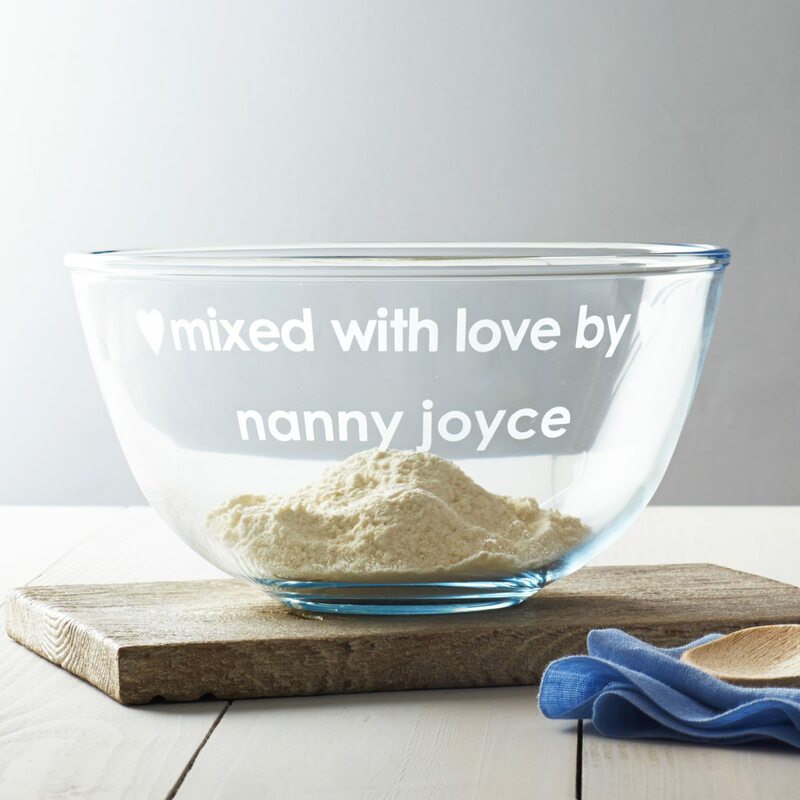 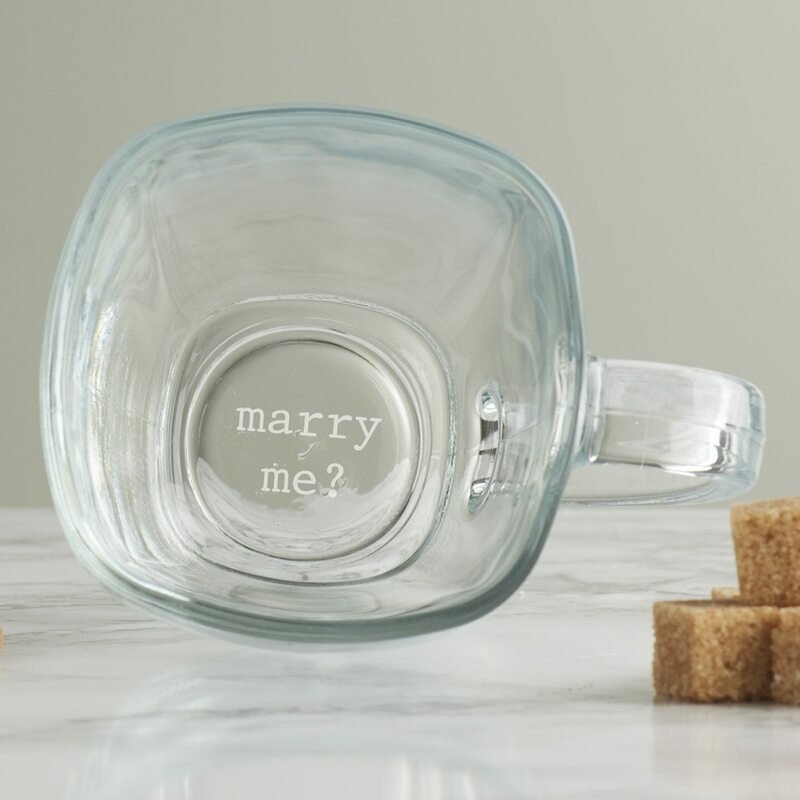 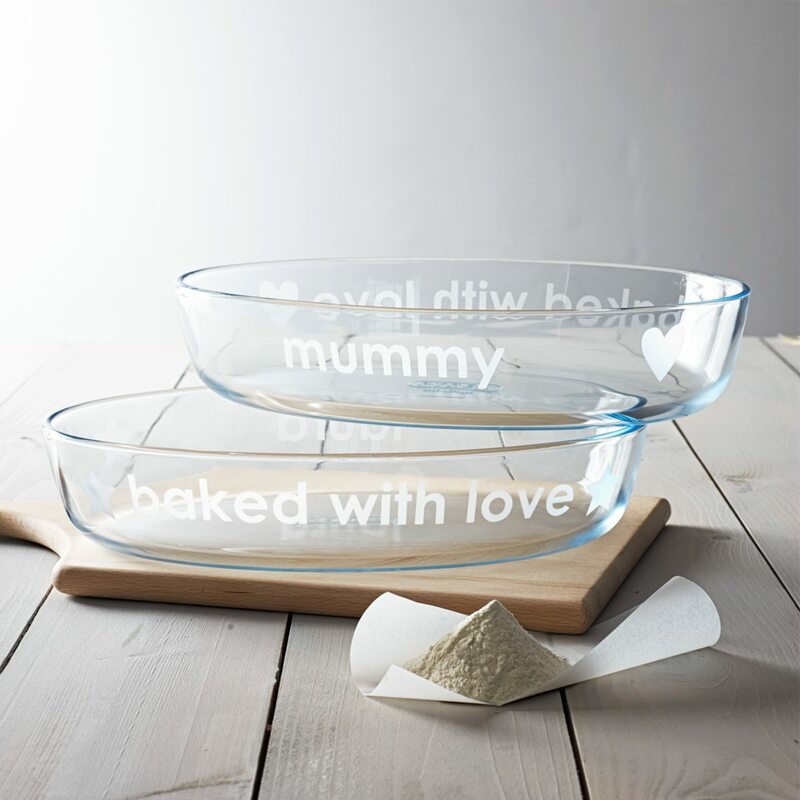 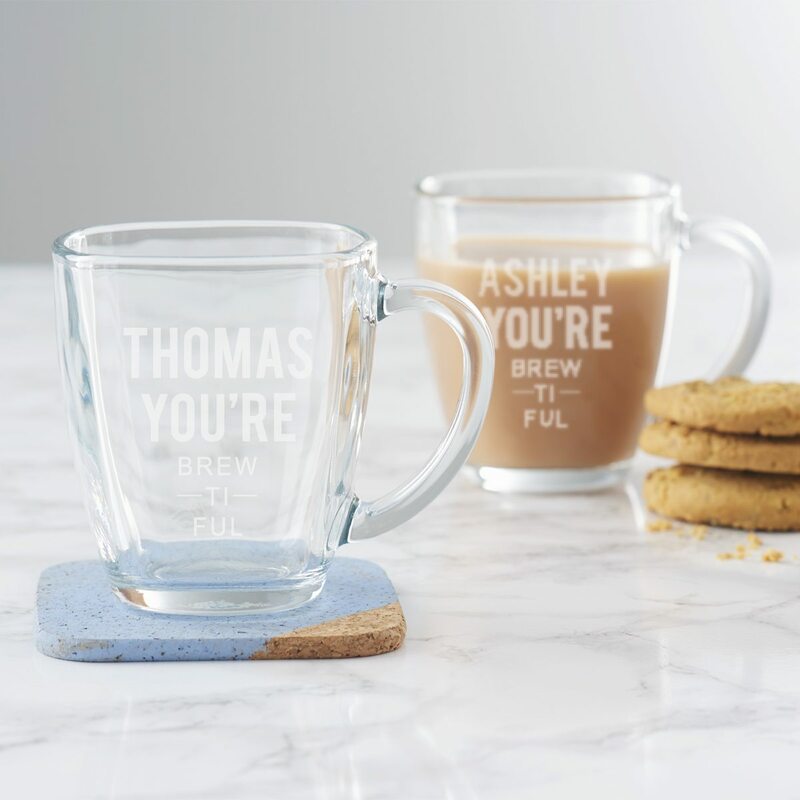 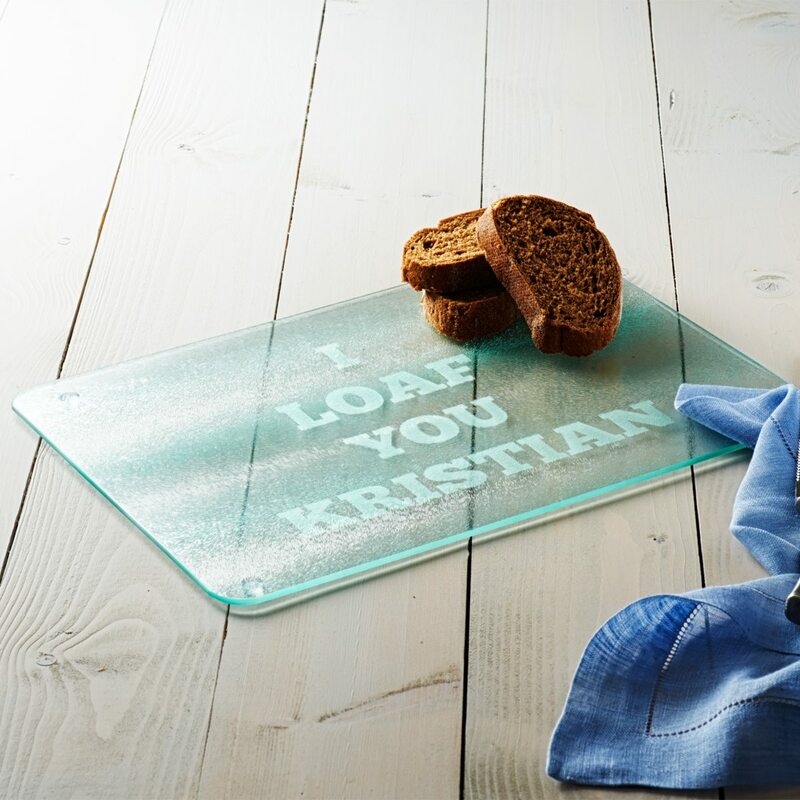 Create a memorable Christmas gift with our Personalised Hexagonal Hi Ball Glass. 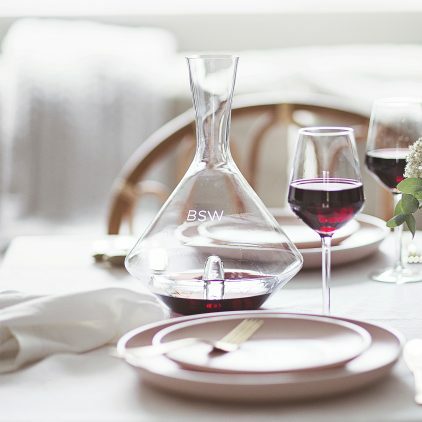 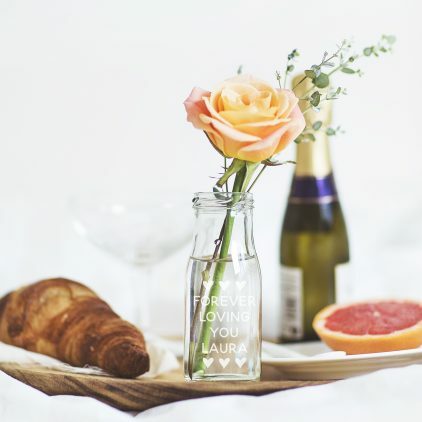 This personalised wine decanter is an elegant addition to a special dinner-party or could be used to add a personal touch to wedding table decor. 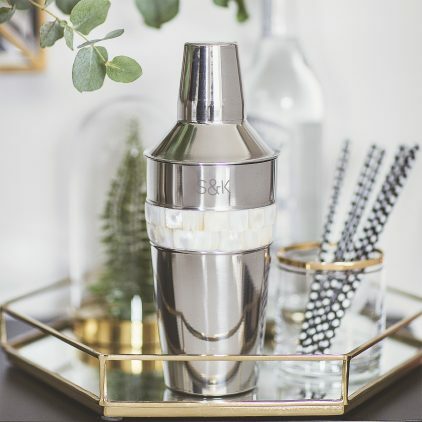 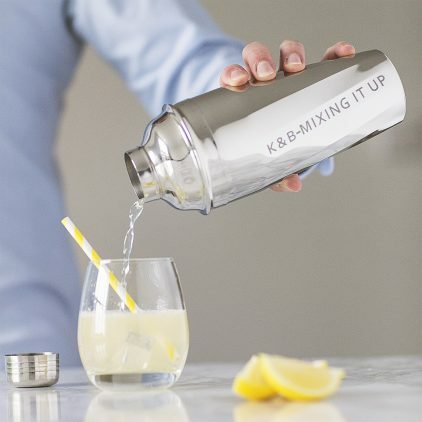 Perfect for the cocktail-loving person in your life, this mother of pearl shaker is ideal for testing out new cocktail recipes. 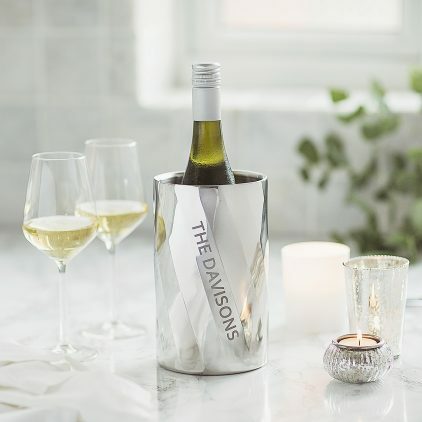 Chilling wine to perfection, this Personalised Mother Of Pearl Wine Cooler would make a stylish addition to any home bar. 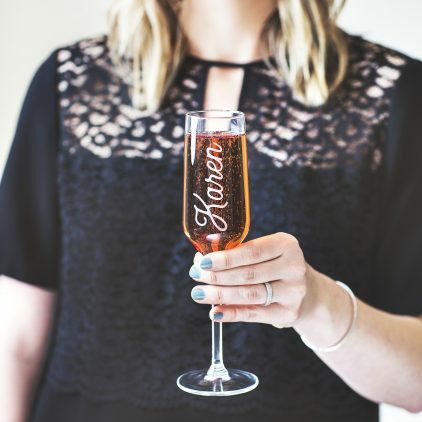 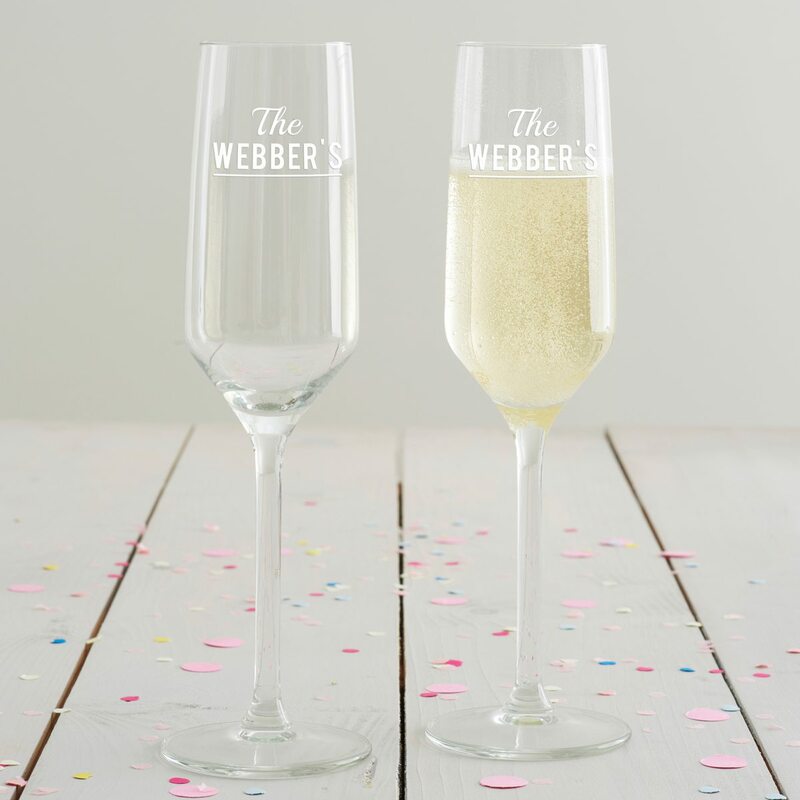 This Personalised Name Champagne Flute would make a wonderful gift for a bubbly drinker. 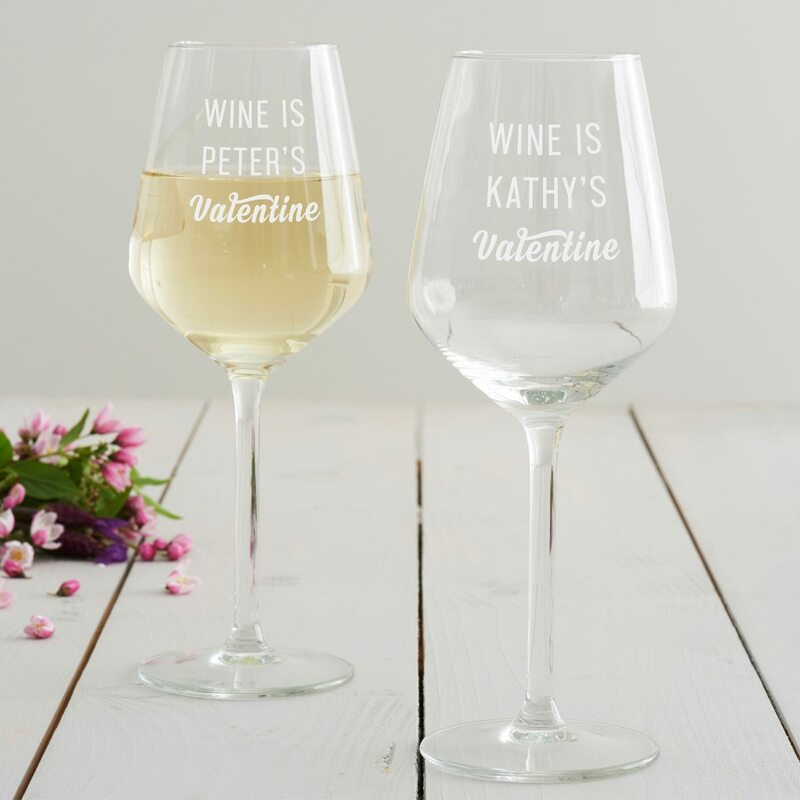 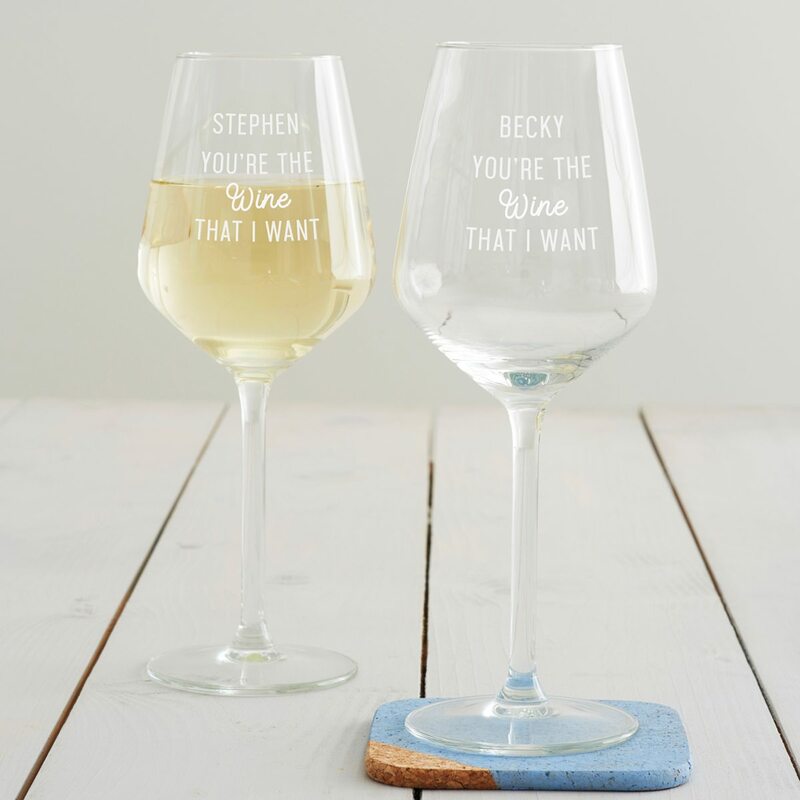 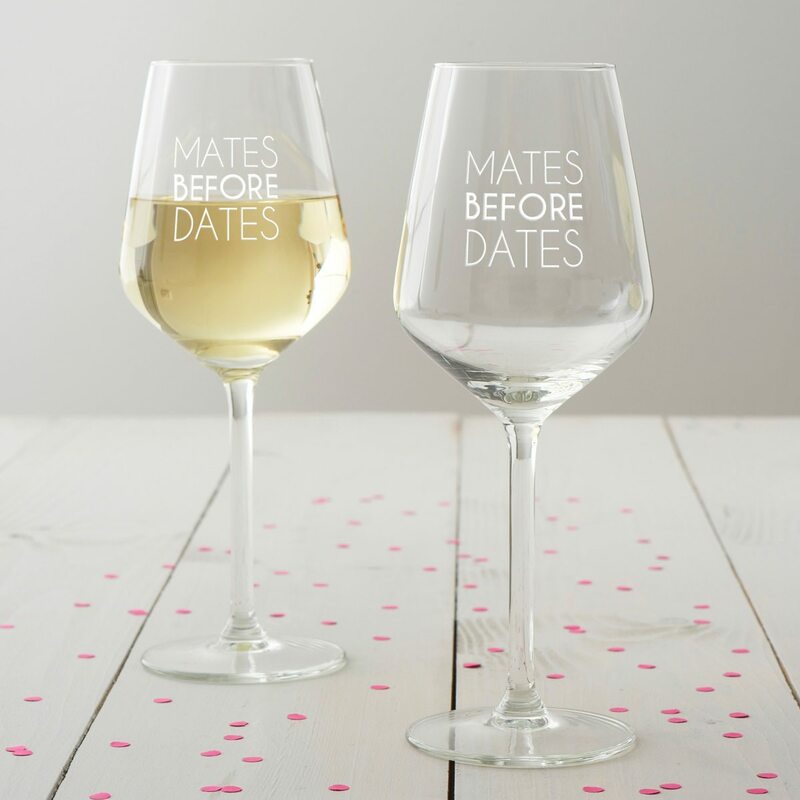 A personalised couple’s set of wine glasses. 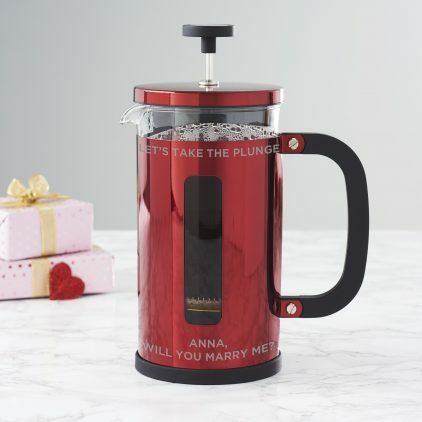 A personalised cafetiere for a unique and memorable way to propose. 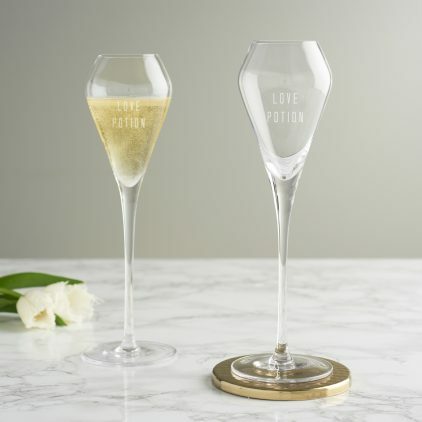 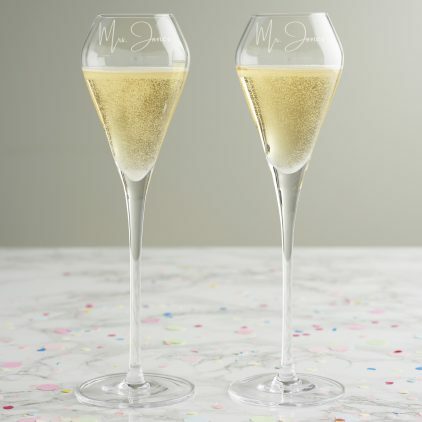 A set of two personalised champagne glasses for couples. 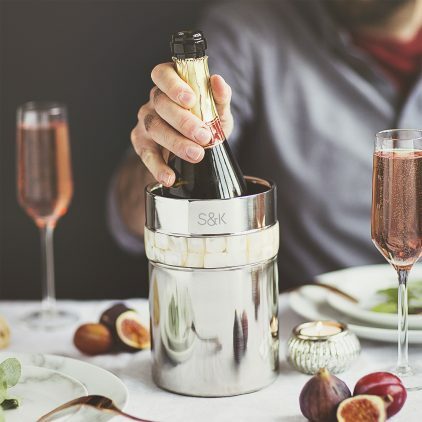 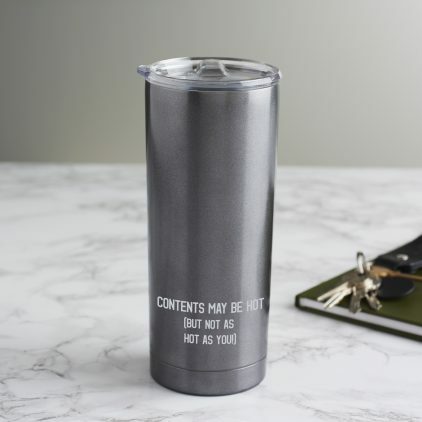 Perfect for testing out new cocktail recipes, this Personalised Swirl Cocktail Shaker is an ideal gift for any cocktail lover. 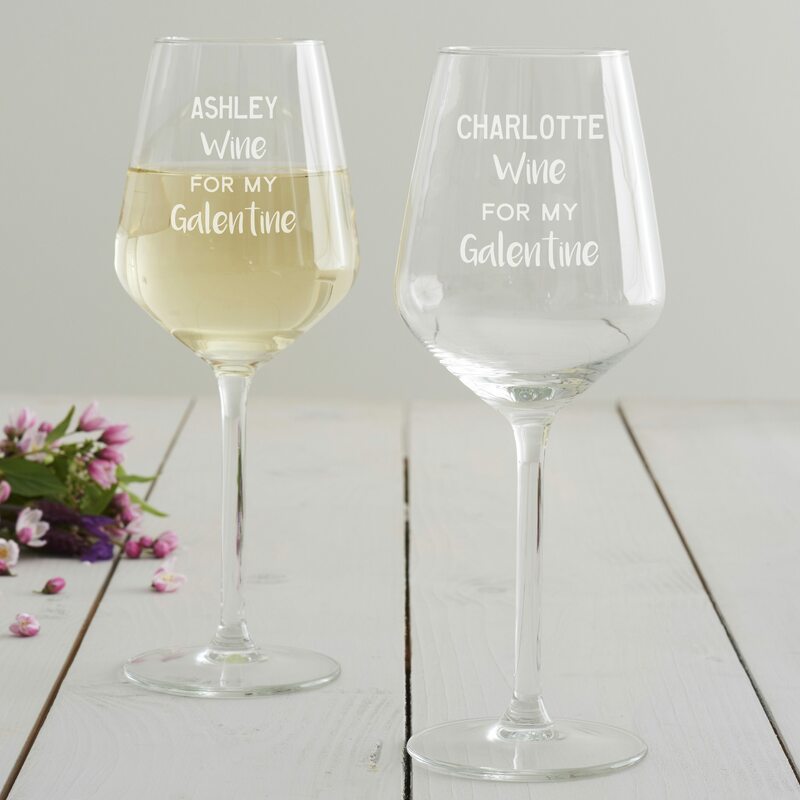 Our Personalised Swirl Wine Cooler would make a stylish addition to any home bar. 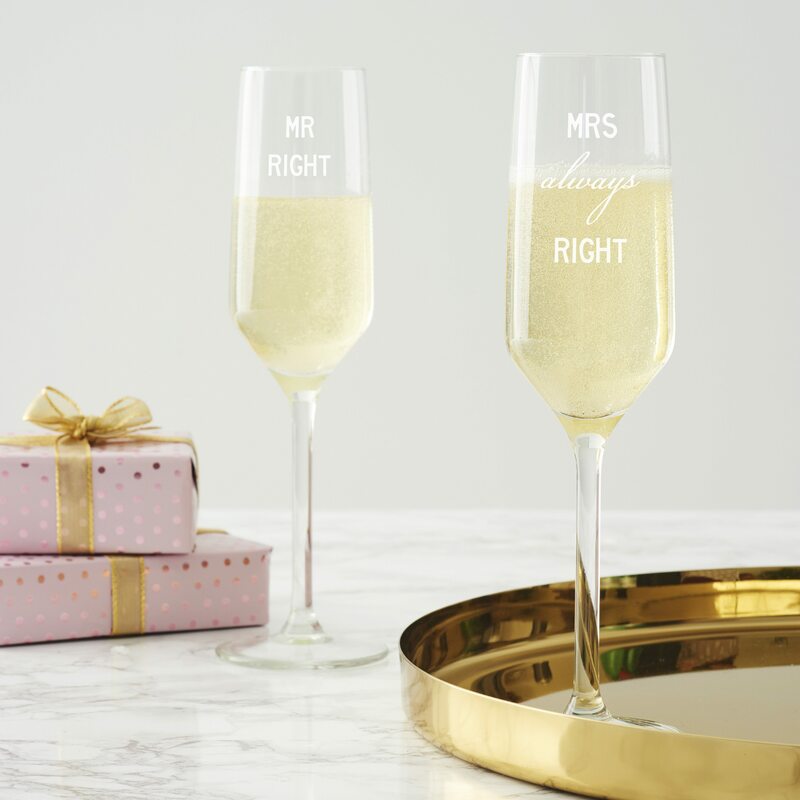 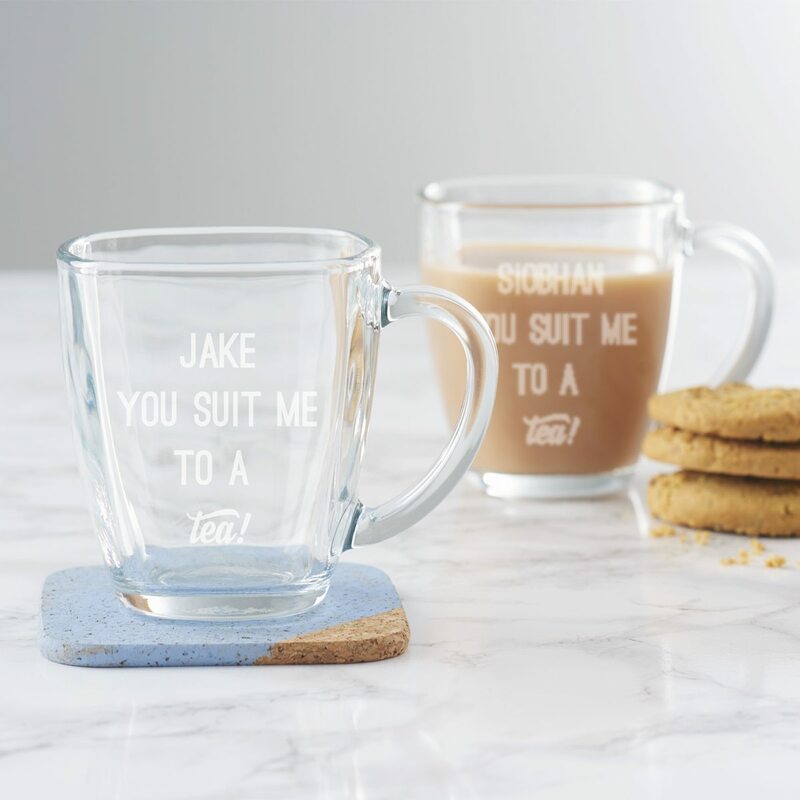 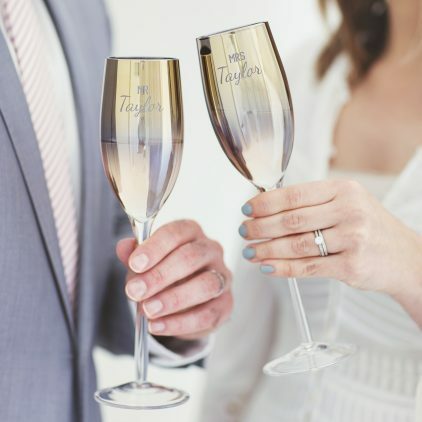 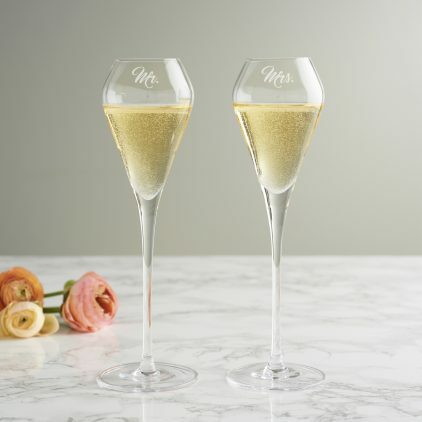 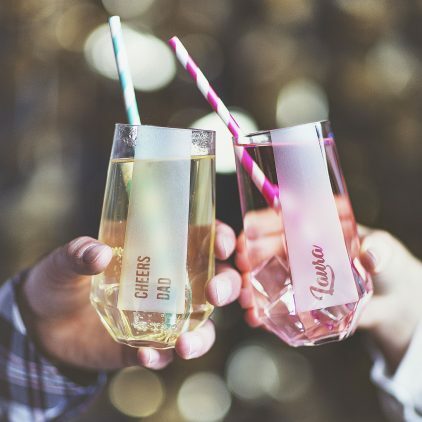 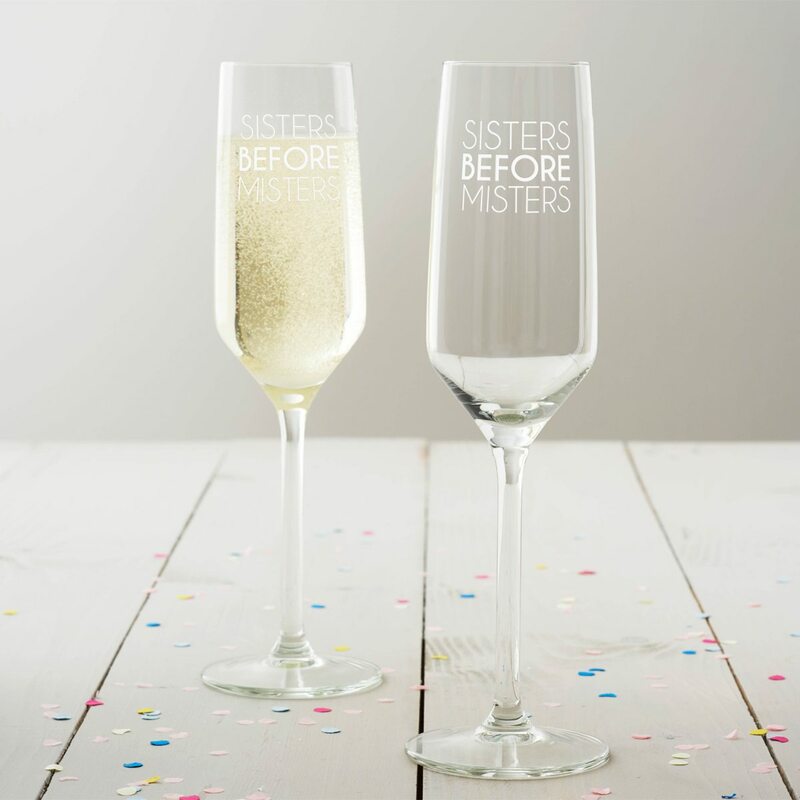 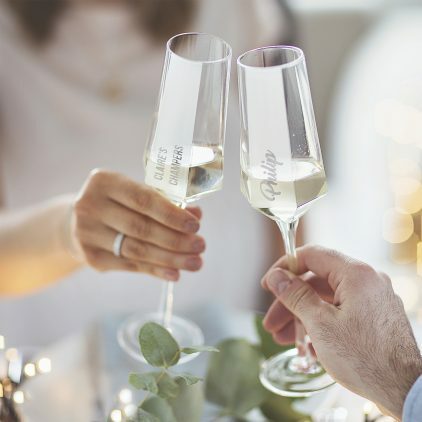 Raise a toast with our personalised Mr & Mrs flute set. 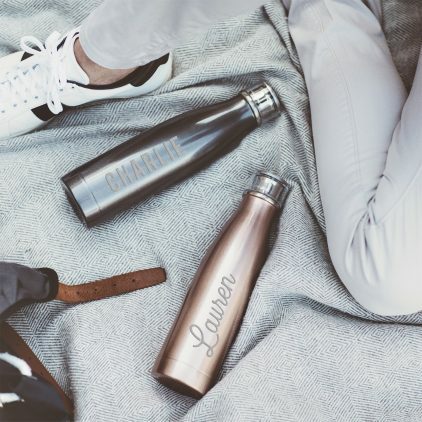 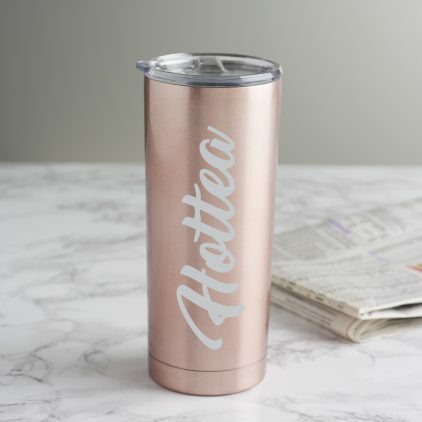 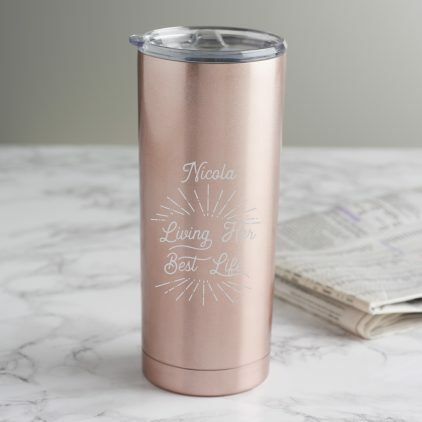 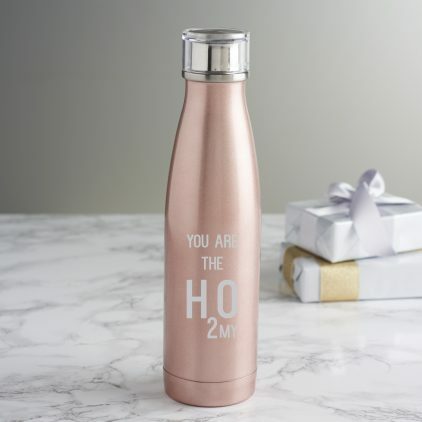 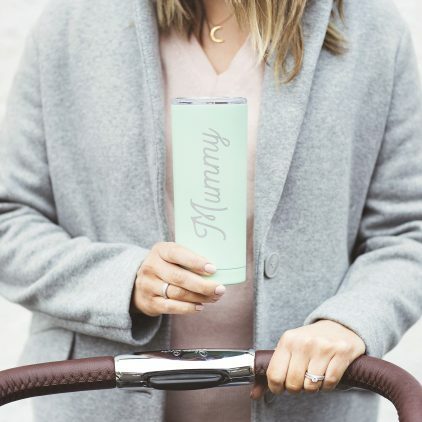 Enjoy your H2O on the go with our Rose Gold Water Bottle For Couples.